S 1/c Edward J. Gibson, son o fMrs. Minnie Seal, attended Olney High. 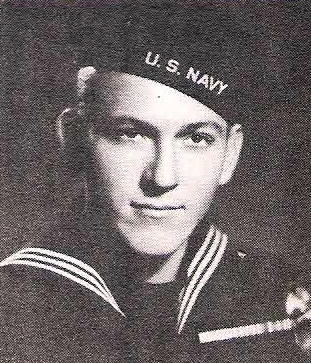 Entered Navy, 1943, trained at Camp Farragut, Ill. Served in Admiraltys and Pacific. Awarded GC and APO Ribbon. Discharged in 1946.